Remember your first summer job? Mine was at the local public library. For five straight summers, I filed books, dusted shelves and mended worn-out volumes. Hardly glamorous work, but I loved the jolt of confidence I felt when I directed a patron to their perfect book, and I was proud of the independence my minimum wage afforded ($4.25 per hour, thank you). Having a summer job is a great way for students to gain real-world work experience and earn money. Sadly, teen labor force participation has been on a steep downward trend for two decades. Facing the high-stakes race for college admissions, students mistakenly assume they need to spend their summers taking courses, pursuing a prestigious internship or traveling abroad. But colleges love a student with grit. 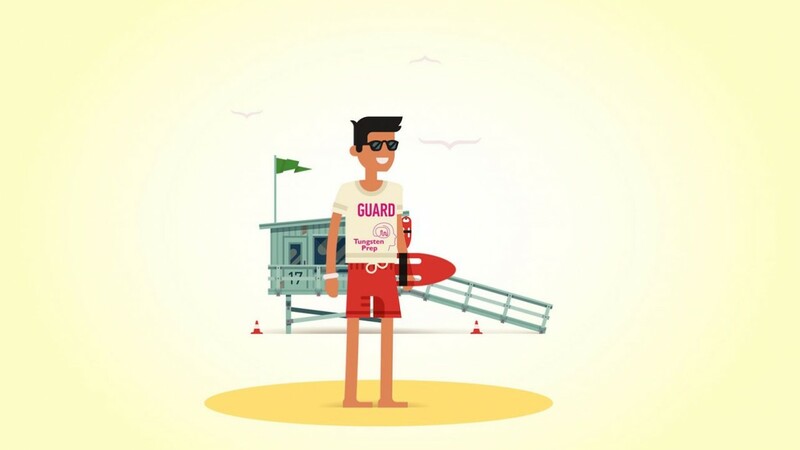 “A real summer job — whether you’re slinging burgers or working as a lifeguard — is a great chance to sharpen those “soft” skills that no classroom will truly teach: leadership, adaptability, and the willingness to be a team-player,” according to Diana Blitz, a college admissions advisor at The College Lady and a former senior counselor at Wilson High School. In the Washington, DC area, that dip in teen employment is even more pronounced: high school students struggle to compete with the region’s thousands of college students, many of whom eagerly take the $12-15 per hour jobs at restaurants, summer camps and shops that were once the staple of the high school summer. So how is a teenager with a little bit of hustle and a yen for pocket money to get a job? Teenagers as young as 14 can work in the District of Columbia, but all minors under 18 must obtain a work permit. The application form with Part B signed by the parent/guardian and Part C completed by the employer. The minor’s original Social Security card. A letter of intent to hire from the employer indicating the nature of the employer’s occupation, and the number of hours per day and the days per week that the minor will work. Students ages 14-15 also need a letter of consent from their parent/guardian. Where to find a summer job? Finding a summer job can be as simple as walking into a store near home and asking if they’re hiring! And if that doesn’t teach chutzpah and self-advocacy, I don’t know what does! Check out the DC Department of Employment Services’ Summer Youth Employment Program. The DC government actually subsidizes employers who hire teenagers, reimbursing them up to $8 per hour for each worker, a huge incentive that boosts teen opportunities at summer camps, local stores, offices and work sites that offer hardy manual labor. DOES maintains a database of employers and helps match teens to their perfect job. Summer camps are the perfect warm weather employer. The Department of Parks and Recreation posts job listings for its dozens of summer camps throughout the city, many of which have the added benefit of offering an opportunity to support underserved communities. And whether your teenager is a karate master or a STEM enthusiast, the annual list of DC summer camps reads like a comprehensive job board for all the region’s specialty camps. And don’t forget that the country’s biggest employer is right on our doorstep. Parents are surprised to discover that federal agencies hire high school students. The Pathways program offers paid internship opportunities for current students, and can lead to a long-term relationship with an agency, including tuition support and the promise of post-college employment. A word of warning: it’s the federal government, so the process will require paperwork and persistence, but the rewards can be lasting. The truth is that in life we value what we pay for. The local ice cream shop that pays $12 per hour will make sure their teen employee stays busy scooping flavors and sweeping floors — invaluable lessons in customer service, resilience and teamwork. In contrast, an unpaid summer internship may sound glamorous — who doesn’t want to work for a Senator or a crusading NGO? — but these experiences can be really hit or miss. Investing in an employee is hard work, and absent a hit to their bottom line, supervisors have little incentive to extract value from a young intern with limited experience who will only stay a few weeks. All too often, I’ve watched a supervisor leave the intern in the corner, dejected and bored. Furthermore, admissions pros from the most highly-selective colleges will tell you explicitly that they value the accountability and responsibility that a summer job offers, but see through the “prestige” of an internship, Blitz continued. All that said, I don’t discourage internships. But I do encourage students to establish clear work requirements and guarantee their labor will be fairly compensated with a rich learning experience.